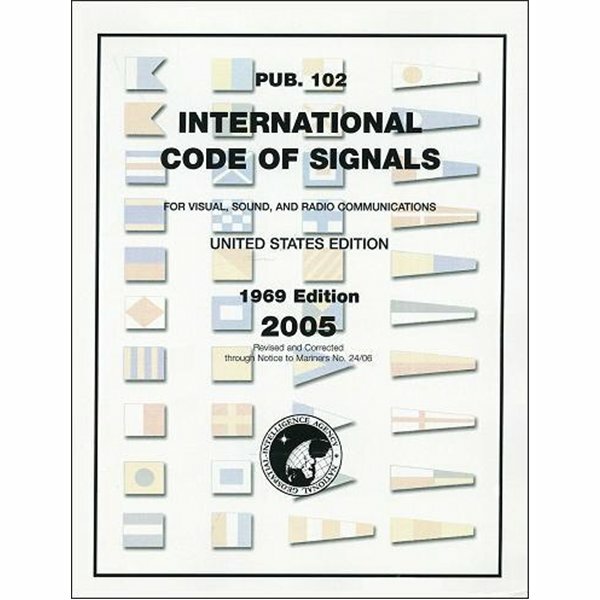 The International Code of Signals (Pub 102) contains, in a single volume, a description and/or graphic depiction of all signals for visual, sound, and radio communications. This publication is intended to cater primarily to situations related to safety of navigation and personnel, especially when language difficulties arise. New editions are prepared and published by NIMA on an as-need basis. United States 1969 Edition (2003 Revised). 8-1/2" x 11". *Actual book cover may differ in appearance from image shown.